Just press play to listen to all the songs! Lately I'm randomly alternating between upbeat and slow love songs which you'll hear soon enough in this random playlist! Unless It's With You - Christina Aguilera | As a long-time fan I have to say, I'm very happy with her latest album! Almost all the songs are great but when I heard this ballad, I couldn't help playing it over and over again. 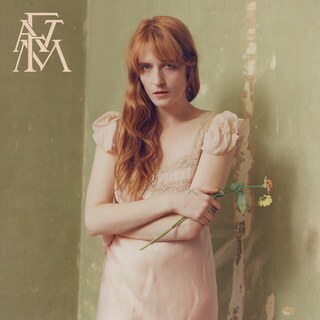 The End of Love - Florence + the Machine | There's this lyric that goes "I've always been in love with you / Could you tell it from the moment that I met you?" and the emotion in her voice gets me every single time. The Light is Coming - Ariana Grande ft. Nicki Minaj | I love Ariana Grande but not so much when it comes to Nicki Minaj. However, they are awesome collaborators and this song is no exception. Simplify - Young the Giant | It's been way too long since their last album (which I didn't love) but give how much I enjoy Simplify, I hope it's a good sign of more awesome songs to come. Here's my full July playlist if you want to know what else I'm listening to!